Early in the winter, I circled the dates for the first International Devil Week hosted by the Huron Chapter and in partnership with the Detroit Randonneurs. Although there wasn’t much climbing on any of the rides compared to many of our Randonneurs Ontario routes, the wind is always a factor when you’re riding on flat, mostly farm land, surrounded by large bodies of water! The Tour d’Essex 200 was the first ride and there were probably 20 riders out for it. The morning wind was moderate and out of the west, so the pace was good for the first leg to Tilbury and most of rode in a pack. The group began splitting up a bit after that. John and Ben hooked up with a tandem and set the pace. I rode solo for a bit, then met up with Sam from Ohio and Dave from Detroit. Most of the other riders stuck together. I fell in with the pack again near Leamington and the joys of group riding were reinforced when, as a traffic light was turning yellow, some riders bolted through while others, like me, stopped. Henk tried to beat the light, but he was behind me, so instead of running the yellowish-red, he ran into my leg! The route itself is spectacular. I’ve ridden it before and appreciate the changes to it around Amherstburg that took us off the Parkway and onto quieter paths and roads. We stopped at the giant Canadian flag along the Detroit River for a photo op before continuing on to the finish. Day 2 saw a smaller group tackle the Erioh 300. I’m a slower rider so I set my own pace and let the pack go their way, but I met up with most of them at the first control. There was a massive tailwind for about 40km along the shore of Lake Erie and that was way too much fun to have on two wheels. I met up with Jerzy at some point along the way, and he and I “rode” together to Erieau, which really means, he blazed on ahead and I met up with him for a snack at the control. At this point, the pack had fallen back, enjoying life at the controls and the fine weather. A smaller group of us left Erieau and headed north. Jerzy fell in with Ben and John, and I did my solo. The cross winds were horrific, and the traffic along some of the shoulderless roads was gruesome. At one point, John and Ben passed me and John asks “Having fun yet?” Oh yeah. Loads. But eventually the winds died down a bit and the ride west along Lake St. Clair was picturesque and much less stressful. Not far from the final control, I ran into construction and the route road was an excavated pit. Hmm. I checked the sandy spots to see if I could track the others who’d been ahead of me but to no avail. A quick check of the smart phone revealed where I needed to be, so I found a way through a couple of trucking yards to the road. I finished the ride about 20 minutes after the other three riders and was slowly packing my gear away when Sam arrived via taxi with health issues. He had to abandon his ride about 20km from the finish. The rest of the riders all finished up about an hour after my ride. So, two rides down, two more to go! The 400 began in Port Huron. Carey and I were going to share a room. Henk asked if he could join us, so we got a cot for him but it turns out Carey couldn’t make it so Henk got the extra bed. Several of us went out for a massive pre-ride feed at the Golden Corral. This was my first time at a Golden Corral, although I recalled my son’s stories of it from the times he was in Florida for baseball spring training. It is something to behold. Words cannot do it justice. If you haven’t been, you will be at once shocked, overwhelmed, amazed and disgusted. Yeah, you just have to go see for yourself. The ride itself up the Michigan “thumb” was fantastic. Again, the weather was perfect with not a lot of wind. Beautiful scenery. It didn’t take me long to find my legs and fall into a good pace. At the Subway control, I pulled in just as three Detroit riders were pulling out. We would see each other frequently over the rest of the route. I finished the ride in 20 hours, which was faster than I had planned but I think only because the wind wasn’t an issue, there were no hills, and I didn’t stay long at the controls. On to Canton for the 600! Despite my broken shoe, I was confident about completing the 600. I did look at a couple of bike shops in Detroit to see if I could find a new pair of shoes, but with no luck. In retrospect, what I should have done is pick up a pair of flat pedals and worn sneakers, but I wasn’t thinking straight. 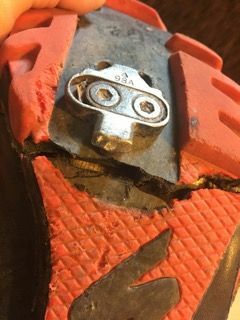 As it turns out, the broken shoe was bearable but not a lot of fun. Shortly after the first control in Hell, I shredded my front tire. Tom the organizer had warned us that the route itself wasn’t overly difficult, but the roads were. He was right. Many of the roads had huge potholes, broken pavement, and several other riders also had problems with multiple flats and shredded tires. Still, I was on a 20 km/h pace and happy with that but it did not last. My legs were giving out and I just couldn’t get them going again. By the time I rode in to Adrian around the 290 km mark, I was done. All three hotels there were booked, so I found a 24 hour Tim Horton’s (!!) and figured I’d refuel and rest there. 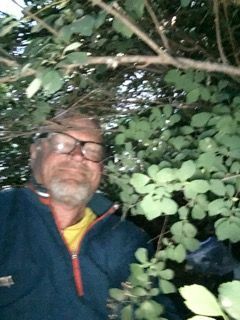 Alas, it was all closed up, so I went to the Shell station, got what I needed, and hunkered down clandestinely in a stand of big shrubs near the Tim’s. Ah, randonneuring at its finest! I woke in the morning and decided to follow the 600 route back to the control at 413 km which just happens to be the hotel where we were staying. I cleaned up at the now-open Tim’s and continued along the route. More potholes and messy roads, and this time some rain too. It was extremely humid but fortunately, the sun wasn’t out yet so it stayed relatively cool. I pulled into the hotel a little worse for wear and was grateful to get out of my cycling gear and into civilian clothes and waited for the others to show up, which they did in the fullness of time. All in all, I was pretty happy with my rides and really fortunate to have been around more experienced riders. John, Ben, Henk, and Martin taught me a lot about long-distance riding. Next year, I believe the Ottawa Chapter will be hosting the Devil Week and we can all expect a lot more climbing for those rides. I was going to be in London the June 24 weekend, so I arranged a permanent ride of the Much Ado 200k route. This is an enjoyable 200, basically heading north from London through St. Mary’s and on towards Millbank, then returning south through Stratford. The weather for my ride was good. Lots of sunshine in the morning as I headed out from the Tim’s, and traffic was light. The first control is 95km in Millbank, so I stopped at a convenience store in St. Mary’s to rehydrate and snack before moving on. While the skies were good, the wind was not. It was coming out of the west and northwest and it seemed I was going into it all the way up to Millbank. Unfortunately, I was also heading into it again on the return route! Lots of wind. At Anna Mae’s bakery in Millbank, renovations have taken place (I hadn’t ridden this route in a couple of years). It is now really easy to get in, grab your supplies, and get out again. I was tempted to buy some pastries but decided to keep going. Worst part of the ride: I was heading east from Millbank and saw a beautiful dog apparently hit by a car, dead at the side of the road. I’ve seen all kinds of roadkill on my rides, but this was the toughest. Some family will be heartbroken. Again, more wind as I pushed into Stratford. The Lakeside road that goes behind the theatres is beautiful and reminds me a lot of the Rideau Canal back home. Lots of people were out feeding the geese and swans and enjoying the summer weather. From Stratford back to London, I could see the skies darkening and showers appear in the area. I was pretty lucky, though. 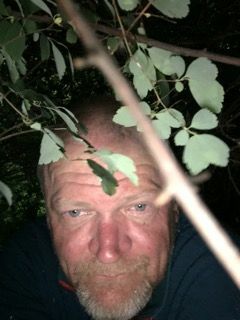 I pulled off the road and took shelter under a stand of trees while a shower passed over. Then the sun came out again and it was smooth sailing back to the city. I finished the ride in 10:48, then the family went out to Spageddy Eddies for a massive noodle feed!